Striata has been operating in the USA for just over 18 months. During this time, we have successfully introduced and witnessed great strides in email as a bill presentment & payment solution with dramatically increased eBilling adoption. Our regional head office is well established on Wall Street in New York, our technical operation is in Orlando and the two data centers in San Antonio & Herndon are sending significant volumes of emails every day. We have signed up many direct customers and also have exceptionally exciting partnerships with some of the USA’s most successful and influential technology providers. These relationships guarantee us access to hundreds of North American billers and we have already seen a handful of joint sales into these customer bases. January started on a very high note for us as we landed our first Central American customer: a very large biller in Mexico. Watch for the upcoming press release. What lies in store for 2006? Now that a solid foundation is in place, we predict that this year will be the first of many explosive years in this geography. The focus will be on the Telecommunications Providers, Utilities & the Financial Services sectors. Striata technology continues to advance rapidly with our three new technology offerings of 2005 being unbelievably well accepted. We have four new technology launches planned for 2006, as well as the eagerly anticipated official release of version 2.5 of the Striata Application Platform, our primary ASP offering. So all in all, we look forward to a very exciting 2006. The main feature of this Newsflash is updated email statistics for the USA for the period ending December 2005. We have highlighted some very interesting facts, the most compelling being: “31% of consumers would like email to replace bills and statements“. DoubleClick recently released its “Sixth Annual Consumer Email Study“. DoubleClick reports that 90% of consumers go online to send and receive e-mail several times a day and 44% report that their use of e-mail is “constant”. The study also states that consumers are less concerned about spam because they are developing strategies to deal with inbox volume. 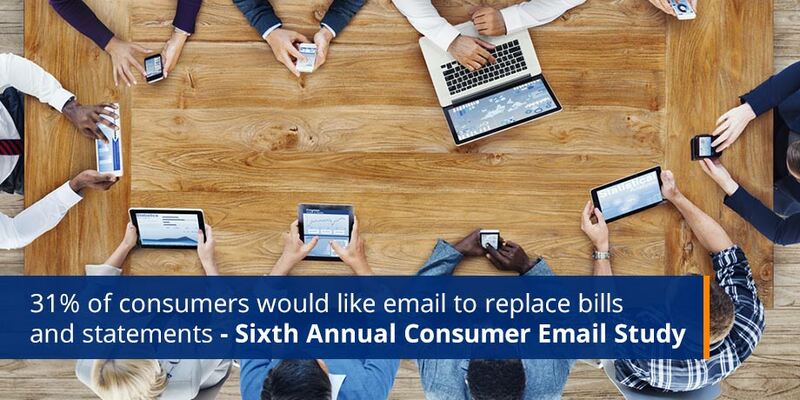 33% said they’d like to see e-mail replace retail offers and coupons. Striata has been invited, along with our various utility customers, to co-present multiple case studies in the coming months.